We're running to win & celebrating our victories! Join our team and we hope to see you there! 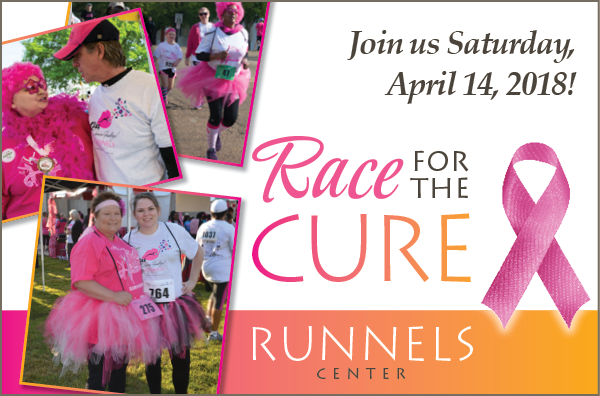 Annual Metro Jackson Race for the Cure, on Saturday, Apr. 14, 2018. It's at a new location this year! Registration begins at 7 am. 10K starts at 8 am; 5K at 8:15 am. 1 mile and Kids Fun Run starts at 8:30 am.